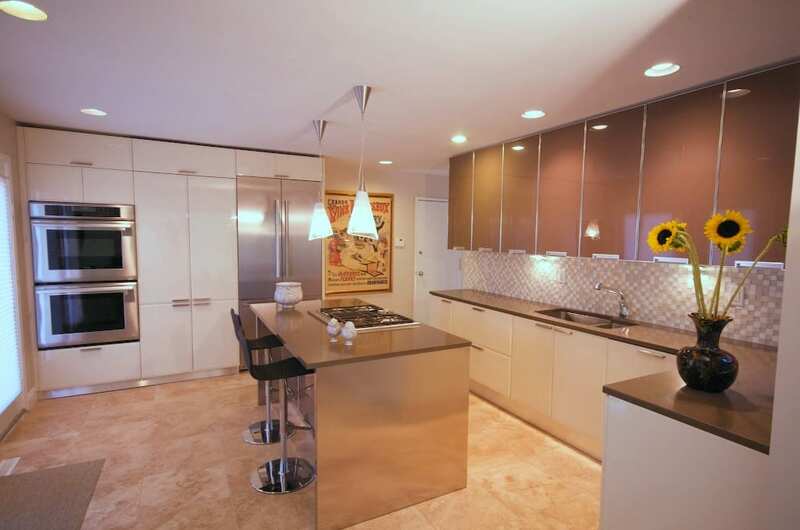 Glass & Lacquer | The Creative Edge, Inc.
* Italian glass & lacquer cabinets. 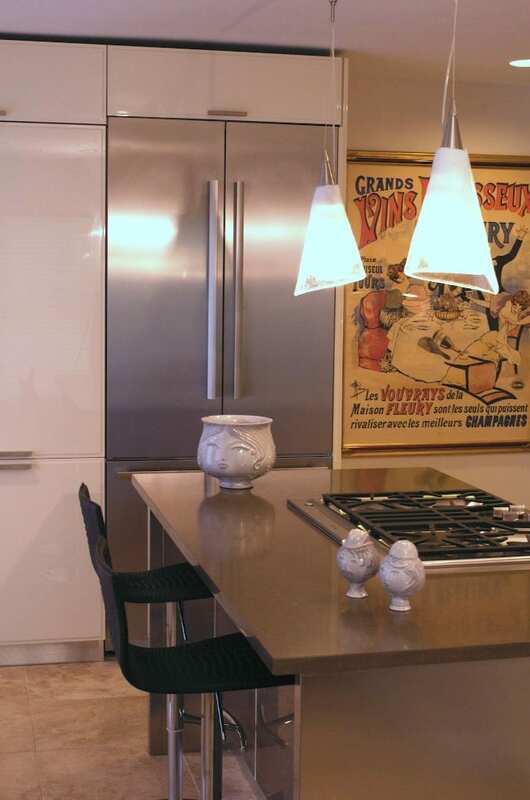 * Stainless Steel Thermador appliances. 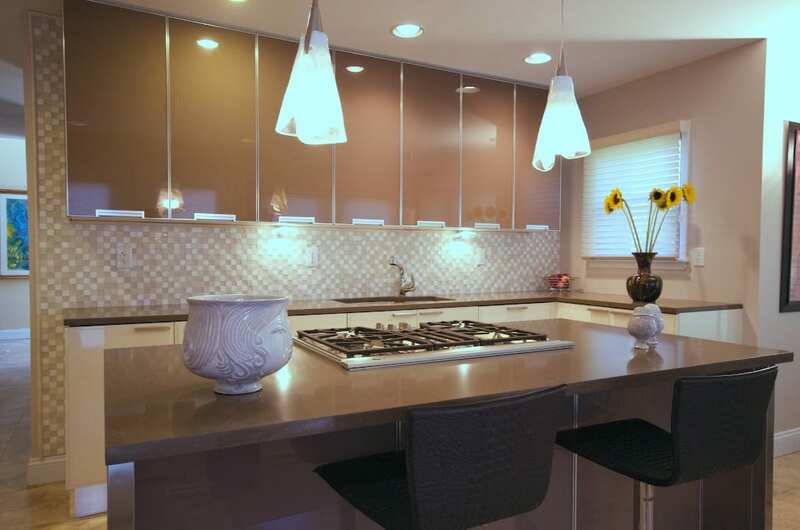 * Stone & glass mosaic back splash.